Tom is a product of the youth system here at Stockton. He broke through into the first team squad when he was 17 and has been ever present since then. 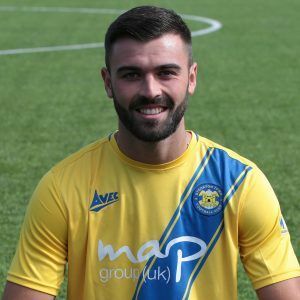 A tough, strong, quick, thoroughbred of a centre half, Tom rarely gets ruffled or loses a challenge aerially or on the floor and has forged an impressive long standing partnership at the back. Tom has a good scoring record for a defender and is also partial to smashing the odd free kick or penalty when called on.